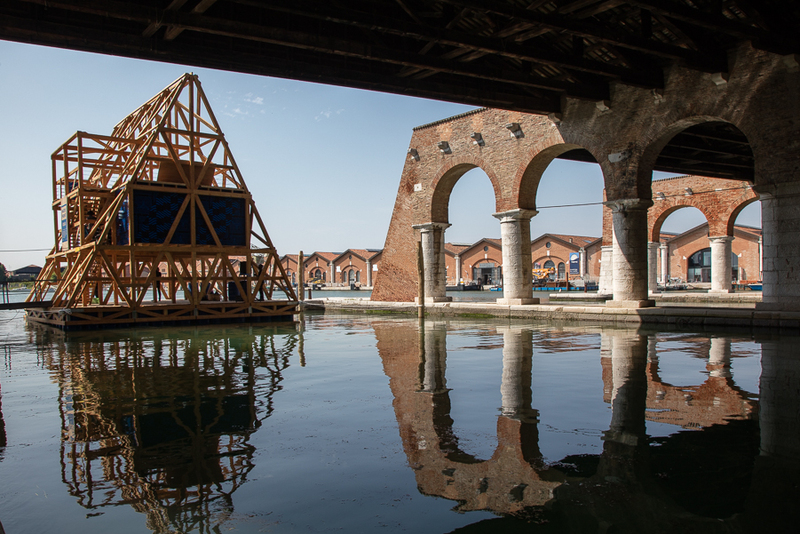 Powerful ideas showcased at 15th Venice Architecture Biennale, which launched last weekend, for rediscovering the desire for architecture. Alejandro Aravena, the Chilean curator of this year’s Venice Architecture Biennale, says of the programme that it’s not “a caricature, or a biennale for the poor”. Although, on many levels, the Biennale resonates with values of the 1960s Arte Povera movement, challenging current economic systems, while also promoting the return to simpler materials and architectural concepts. Aravena urges architects to consider more carefully what they build, not making something “ just because you can”. The exhibits provide a wide range of responses to Aravena’s overarching theme Reporting from the Front. 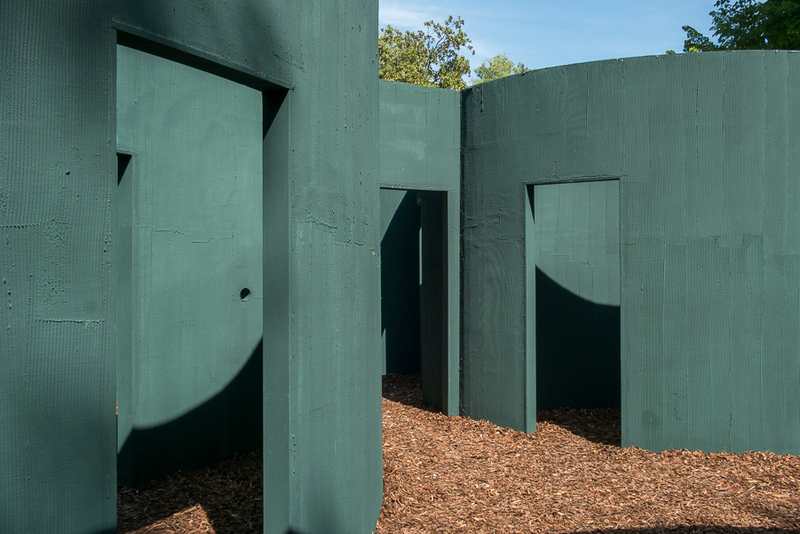 On the grounds of the Giardini there are thirty national pavilions and the exhibitions, which Aravena describes as “conversations” on the battles and challenges we face improving our urban environments, continue inside the Arsenale ship yards and across the city. The Central Pavilion hosts a group exhibition, including projects by Renzo Piano, Kéré Architects, Richard Rogers and Kazuo Sejima, although it’s the lesser known architects that propose the more engaging and ground-breaking ideas. 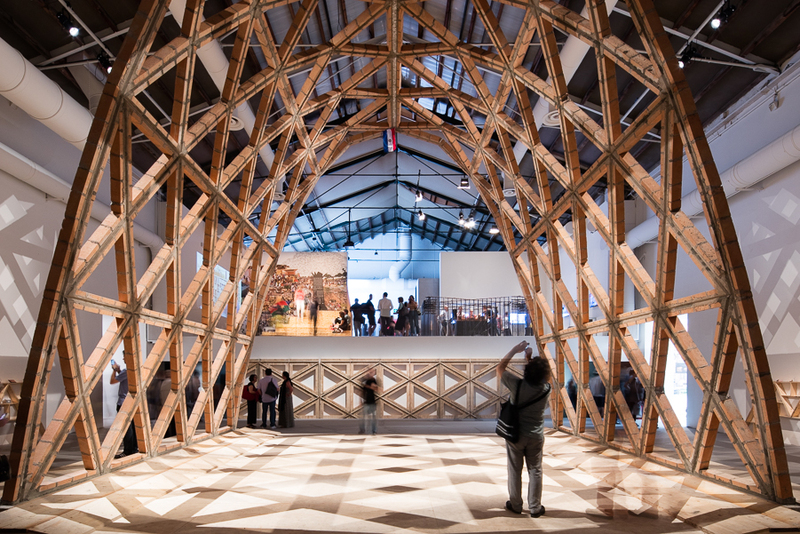 The most striking exhibit is the big parabolic arch in the Central Pavilion, designed by Gabinete de Arquitectura from Paraguay, made of bricks by workers without any training. It shows how modest materials and low key production can produce impressive results, and was awarded the Golden Lion for the Best Participant in the group exhibition. This idea resonates throughout the Biennale in different ways and levels, showing how simple actions can be effective. As the President of the Biennale Paulo Baratta puts it: “the exhibitions speak the language of urgency and hope” and thanks Aravena for the overall clarity of the Biennale theme, producing “intellectual exercises, the opposite of fancy designs”. 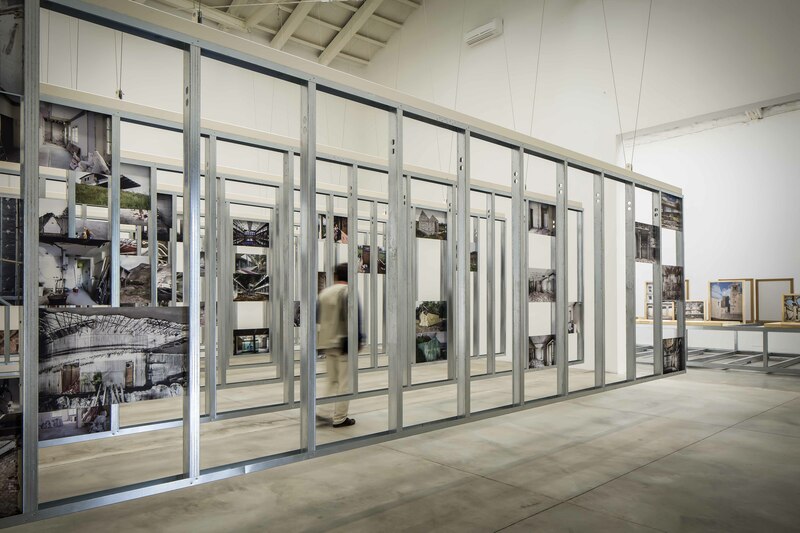 Photographic exhibition Unfinished in the Spanish Pavilion, which won the Golden Lion Award for the Best Pavilion, documents the country’s economic crisis through abandoned building projects. It also shows how these sites can become opportunities for alternative ways of space-making – in fact for something better than what they were intended for initially. 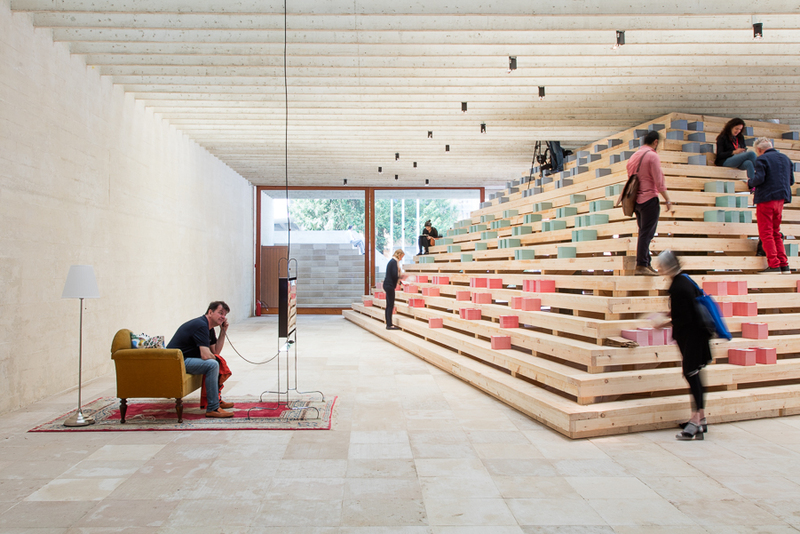 The Belgian Pavilion’s team Bravoure also challenges conventional ways of building through exquisite photographs coupled with 1:1 size architectural elements from the pictures. An aesthetic approach rooted in humanistic values underpins both these exhibitions. The young curatorial team of the British Pavilion draws attention to the housing crisis and poor living conditions in metropolitan cities. Titled Home Economics the show is a stylised political narrative, proposing new forms of ownership, from shared designer clothes to electronics and domestic help, exploring “what is the feel of home” as curator Jack Self explains. It’s cinematic and provocative, a little sinister perhaps, evoking the current economic situation. In the ‘Days’ room gigantic sculptural inflatables stand as symbols for a lifestyle in constant flux, which Self describes as “tools to make us feel at home wherever we are”. What was probably missing here is an introduction to the terrible, overpriced living conditions many people face in the UK, the “why should we care” questioned by Aravena. Not everyone is aware that damp-infested rental flats in London start from £1000 per week. The German Pavilion is the most fiercely political, with bright slogans on the walls proclaiming how cities could function well with immigration. As a symbolic gesture, doors from the pavilion building have been completely removed. 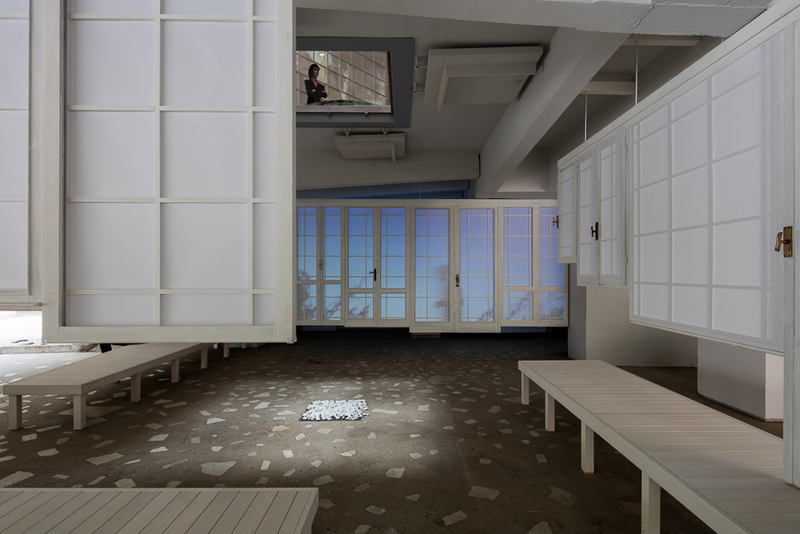 Opposite the Japanese Pavilion shows a dense research-based exhibition, awarded with a special mention from the Biennale Jury, exploring the housing crisis in Japan through Buddhist principles, proposing models where tactile qualities are truly considered, including smell and sound. Rejecting the rigid world of architectural plans, the show calls for more sensuous and human forms of design. The basement of the pavilion is a beautiful installation on the flexible quality of traditional Japanese design, how spaces can be linked and separated. The division between public and private space is a challenge in both the domestic and urban realms: the lack of it and also the accumulation of ‘junk-space’, a product of pompous or badly considered urban design. 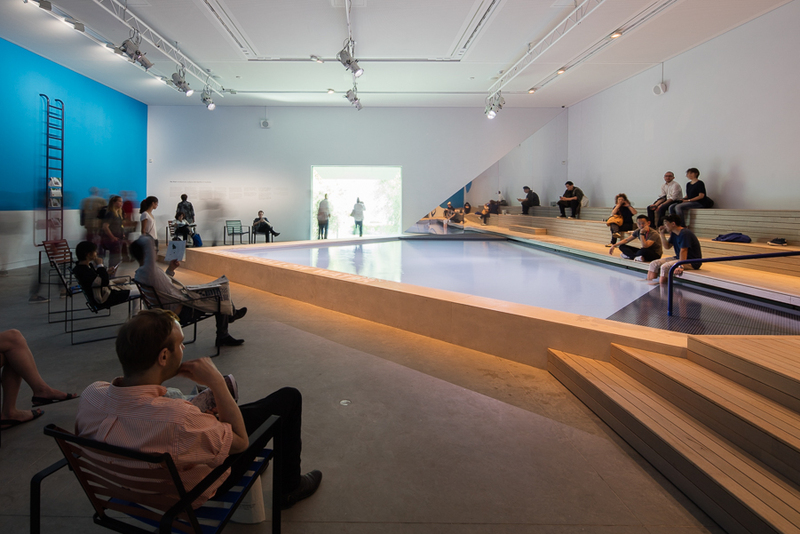 In Australia the swimming pool exemplifies an ideal form of public space, and their exhibit inside the national pavilion, which opened last year, is just simply a pool. This highlights the regional criteria about successful architectural concepts. It doesn’t give much away about pools as seen from ‘The Front’, but reinstates value to spaces of leisure. 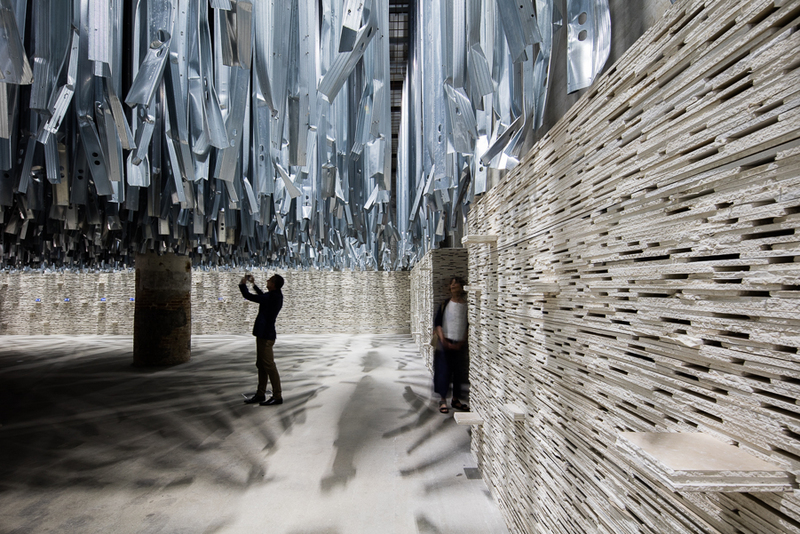 The use of materials, whether recycled or natural resources such as brick and wood used in new imaginative ways, was an underlying topic explored throughout the exhibitions. In the opening press conference Aravena pointed out that he doesn’t oppose the concept of ‘iconicism’ in architecture as such. He thinks it’s important to provide variety. For him the biggest problem in urban design is bland corporate architecture and the waste of space and materials that kind of architecture creates, “they are the bad guys, and should be banned” Aravena concluded. The exhibitions really do give hope for a better future and Aravena’s curation (although criticised somewhere for being patronising and elevating architecture to a god-like status for problem solving) evokes positive forms and alternatives for the future of cities. We just need to get the policy makers there and the corporate world to take notice of these new better values. 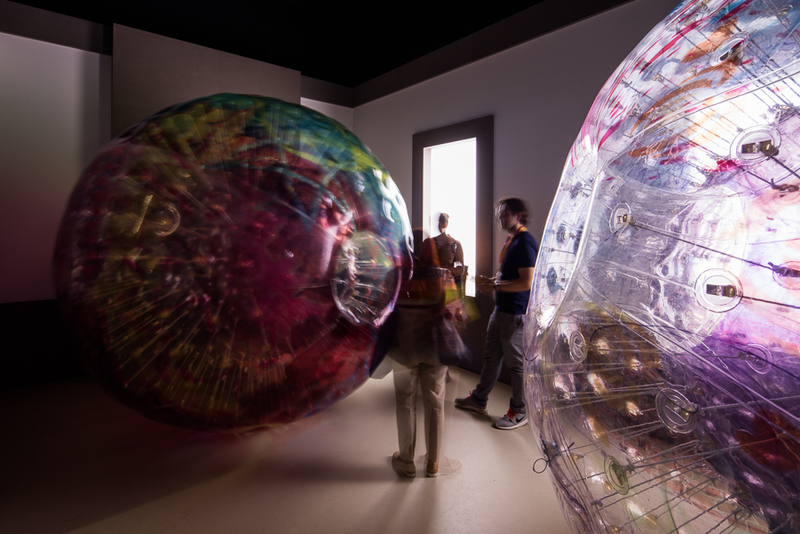 Whether it’s inflatable cocoons for escaping bad living conditions or vernacular forms appropriated from primitive cultures, the exhibits provide both constructive criticism and inspiration towards new horizons and architectural solutions.